StrongKey makes data breaches irrelevant by redefining how businesses and government agencies secure their information against the inevitability of a breach. 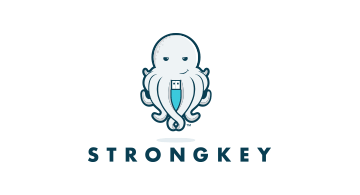 While other security companies focus on protecting the perimeter, StrongKey secures the core through key management, strong authentication, encryption, and digital signatures—keeping the core safe even with an attacker on the network. Based in Silicon Valley, CA and Durham,NC, StrongKey has provided cryptographic security solutions for over 18 years and is trusted in mission-critical business operations by some of the largest companies in payment processing, e-commerce, healthcare, and finance.